The human body is an incredibly fine-tuned machine that relies on balance for optimal function. 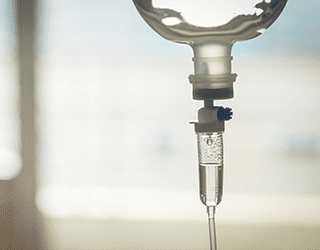 As you age, your cellular and biological systems often can’t keep up with the damage that comes with wear and tear, which is where intravenous (IV) therapy can make up the difference. At Klarity Clinic, Henry Liang, DO, and Christian Munk, DO, are trained and certified to deliver NAD+ therapy, in addition to vitamin antioxidant and hydration therapy. These infusions allow patients to “reboot” and feel their best. To learn more about how IV therapies can help repower your body, call to schedule an infusion. As you age, your natural levels of NAD+ begin to decrease. If you add sickness and disease to the mix, your NAD+ levels deplete more rapidly. Be careful of other products marketing themselves as NAD. NAD+, NADH and NR (Nicotinamide Riboside) are not the same. Although NAD+ plays a role in the same pathway as NADH and NR, there are certain NAD+ consuming reactions where only NAD+ can be utilized. In these reactions, NADH and NR are not effective. While NADH and NR are less expensive than NAD+, the positive effects are not nearly as potent as NAD+. 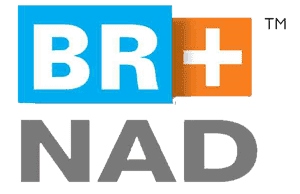 BR+NAD and our REAL NAD+ tablets are the purest forms of NAD+ available. Drs. Liang and Munk deliver the treatment over the course of two days with an 8- to 10-hour infusion each day. They also offer faster lower dose infusions, which take less than two hours, and subcutaneous injections, which take a few minutes. If you want an energy boost in the form of a vitamin infusion, Dr. Liang and Dr. Munk offer the Myers’ Cocktail, which increases the concentration of several essential vitamins and minerals in your blood. Through special processing techniques, the doctors deliver vitamins intravenously, which creates concentrations in your bloodstream that you can’t get through oral medications. This infusion is less involved than the NAD+ therapy, but delivers a powerful punch that re-energizes and restores your body by giving it the extra nutrients it needs. What is a glutathione antioxidant infusion? A glutathione antioxidant infusion is another tool in Klarity Clinic’s overall health and wellness arsenal. Glutathione is an amino acid that prevents the damage that free radicals, peroxides, lipid peroxides, and heavy metals inflict on your cells. It promotes a healthy immune system, improves skin texture, reduces fatigue and enhances energy levels. If you’d like to explore how an IV therapy can help your mental and physical health, call Klarity Clinic, or request an appointment by filling out the online form.